If you�re looking for the very best value on a beginner snow cone kit, the Big Kahuna Shaved Ice Package from HawaiianShavedIce.com is a great choice. 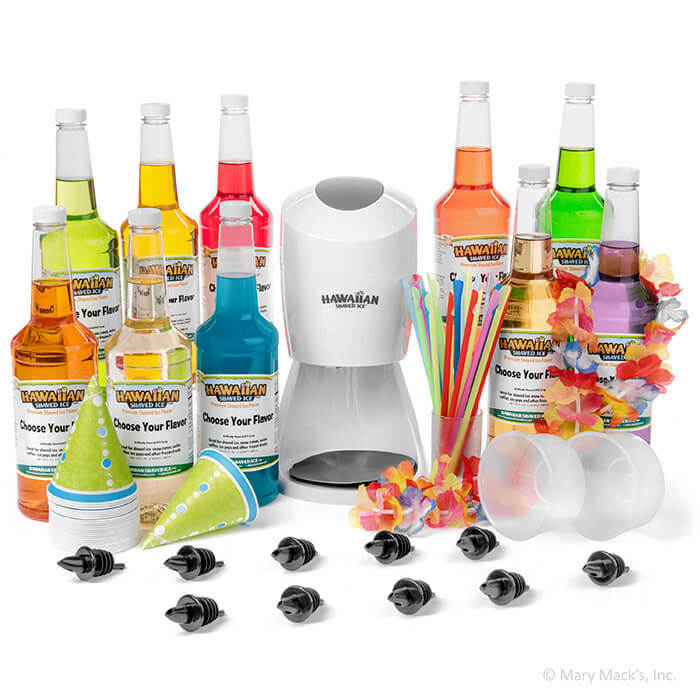 Ideal for large gatherings like family reunions or birthday parties, this kit includes everything you�ll need to make a variety of different flavored shaved ices for all of your loved ones. 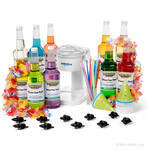 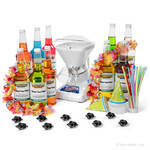 The kit also comes with 12 Hawaiian floral leis to make your luau party even more festive! 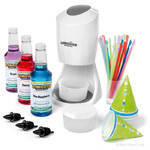 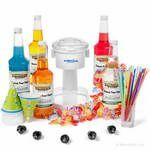 The Big Kahuna Shaved Ice Package includes HawaiianShavedIce.com�s best-selling S900A Shaved Ice Machine, a truly high-quality way to make shaved ice at home. 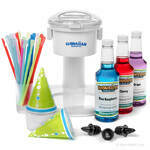 The machine uses molded, round blocks of ice and shaves them into a fine, fluffy texture that is perfectly refreshing. 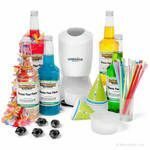 To serve your homemade shaved ice, this package also includes 10 quart-size bottles of premium flavor syrups in your choice of flavors, 200 spoon straws, 200 snow cone cups, 4 sets of ice molds and 10 bottle pourers to give your guests an authentic-looking shaved ice treat.